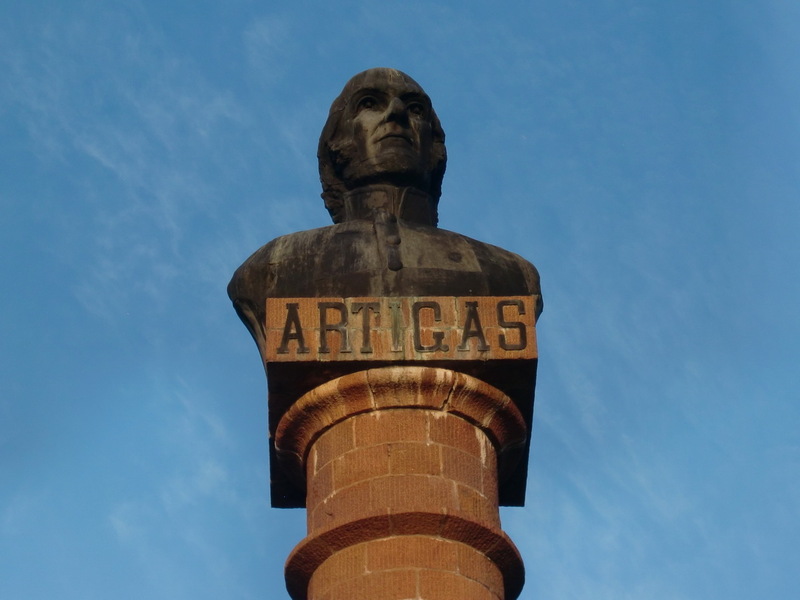 We spent the night on the Meseta de Artigas a plateau 80 meters over the Rio Uruguay with a large monument of General Artigas, more than 30 meters high. There is a free of charge campsite with all facilities like hot showers and electricity! 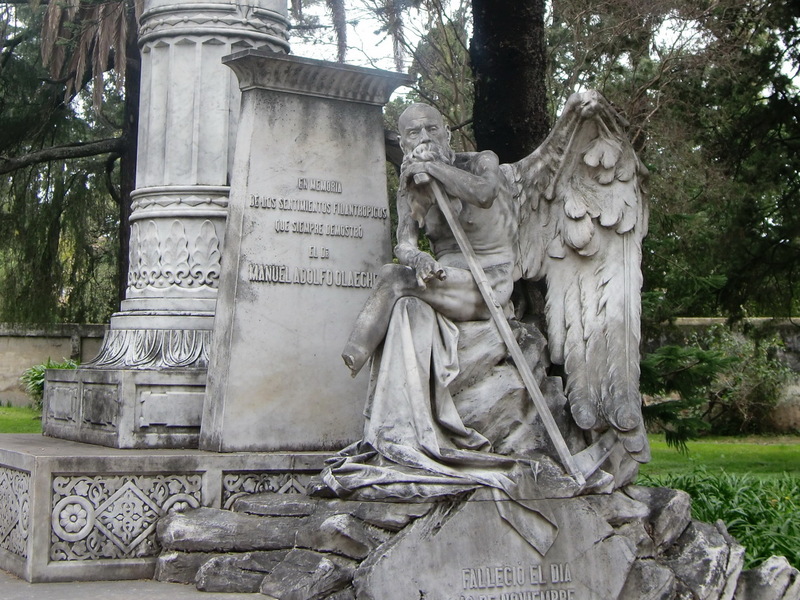 The next city, Paysandu, has an old cemetry and the hot springs Termas de Guaviyu with acceptable campsites. On the way to Colonia are the atmospheric ruins of the Jesuit Calera de las Huerfanas, situated in a lush forest. We found a nice campsite directly on the beach of Rio de la Plata, 8 km North of Colonia (GPS coordinates S 34° 24.958 W 057° 53.532, close to the Geocache El Castillo, which we did not find. But we found another one in a nice hacienda driven by Swiss people: Vineyard Cache - Wood and Wine. This campground was free of charge but without facilities. Instead beer was available! We enjoyed this marvelous and remote spot intensively. We stayed 3 nights there, also when we visited Colonia. 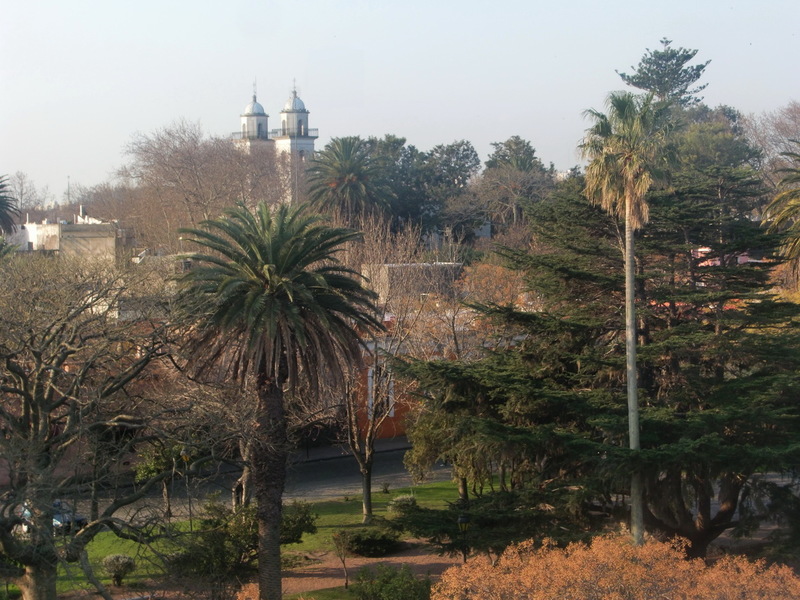 Colonia del Sacramento is one of the most popular touristic destination in Uruguay due to its quaint old town, founded by the Portugueses in 1680. It is located pretty on a tongue in the Rio de la Plata. 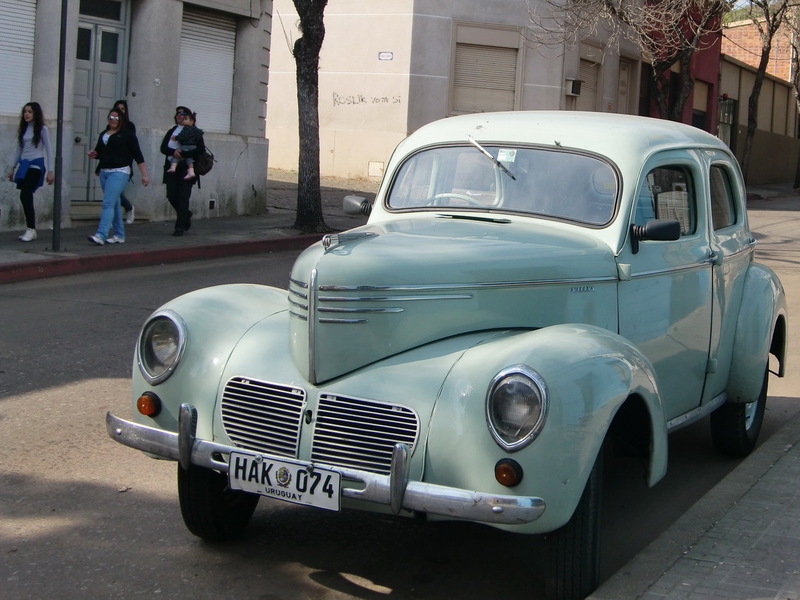 Uruguay is famous for its old cars in stunning conditions. In Europe you can make a lot of money with these cars if you pass the security inspection. Some are used a little bit strangely. There is a good parking place in Colonia close to the sea port, secured 24 hours 7 days per week. It is well known by campers in South America; so we saw there several camping cars. 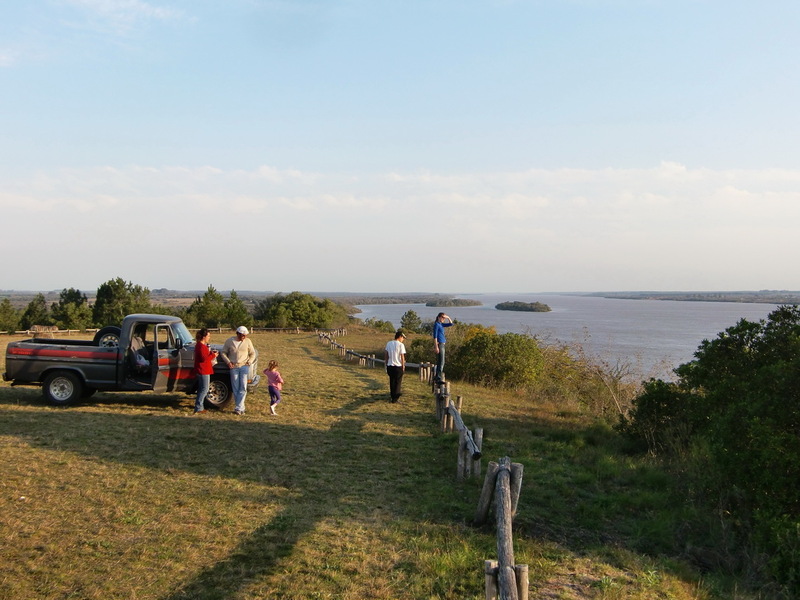 We parked our car there and left Uruguay with the ferry to Buenos Aires on August 13th 2011 to visit our family and friends in Germany. Such a nice pictures ! My daughter arrived in Seattle and attend highschool. She is very happy with her host family. Suppose you are in Germany now ! So bye till the next adventure !